What Movie Is This Robot Chorus Line From? It’s a fascinating picture of robots and dancing women, all performing for a movie. The photo is supposedly from around 1927. 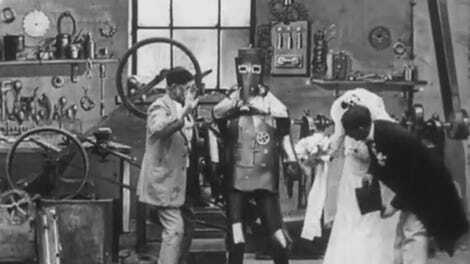 And while I love old movies and I love robots, I can’t for the life of me figure out what this photo is from. I need your help. The photo above is licensed by Getty Images, an agency that typically has pretty thorough descriptions of their photos. But for some reason this photo doesn’t include much information at all. The description reads: “circa 1927: A group of chorus girls in an unknown film.” Thanks, Getty. My first thought was the 1930 film Just Imagine, a musical science fiction movie that’s just weird enough to have a scene like this. But I don’t think that’s it. But what else could it be? The only robot movie from 1927 that I can think of is Fritz Lang’s Metropolis, but obviously that’s not right. Even the extended cut doesn’t have a scene anywhere close to this. So what is it? I’m inclined to think that maybe it’s a scene from some early 1930s musical that may have gotten lost to history. Sadly, there are quite a few movies that you simply can’t find anymore. It’s estimated that roughly half of all American movies made before 1950 are totally lost. And perhaps 90 percent of movies made before 1927. Please help. And if it’s so obvious that I should’ve known all along please feel free to mercilessly ridicule me. I promise I deserve it. 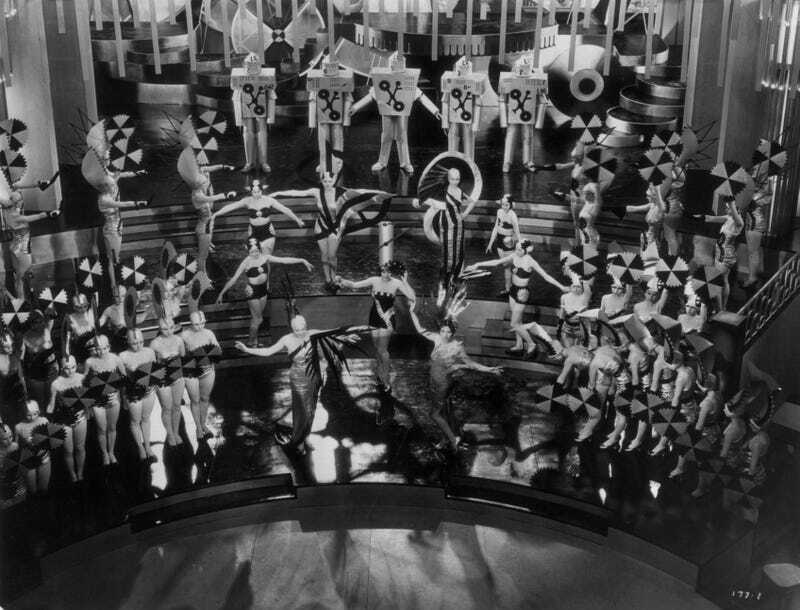 Apparently the only reason that this dance sequence, called the “Mechanical Ballet,” survives is because it was re-used in a 1932 film titled The Tenderfoot. Lilies of the Field is a 1930 American Pre-Code drama film directed by Alexander Korda, and starring Corinne Griffith, Ralph Forbes, and John Loder. It was a remake of the silent 1924 film Lilies of the Field, in which Griffith had played the same role.Both films were based on a 1921 play of the same name by William J. Hurlbut. Lilies of the Field was Griffith’s first all-dialogue film. The film is not related in any way to the 1963 film of the same name, which starred Sidney Poitier.